Over the past few months I've worked on 2 Kickstarter videos. Both for great companies that have been a joy working with. They both are custom hand made items made in U.S.A. The first one is Cross Bags: A fully customizable men's messenger bag company. Later on they plan on launching tote bags, back packs, and more. They're also launching a beer koozie with the Kickstarter as a nice little gift incentive to their contributors. I must say the beer koozie is genius!. Take a look. The bags are mostly made out of leather, wool, and wax canvas. Three great materials to keep your gadgets safe and have a stylish bag! Their Kickstarter campaign can be seen here! Also their Cross Bag's website. Any bit helps even if you just share the page to spread the word would be appreciated! I made the video with good friend of mine Brian Morgan. Be sure to check out his website as well! The second company is Peter Field. 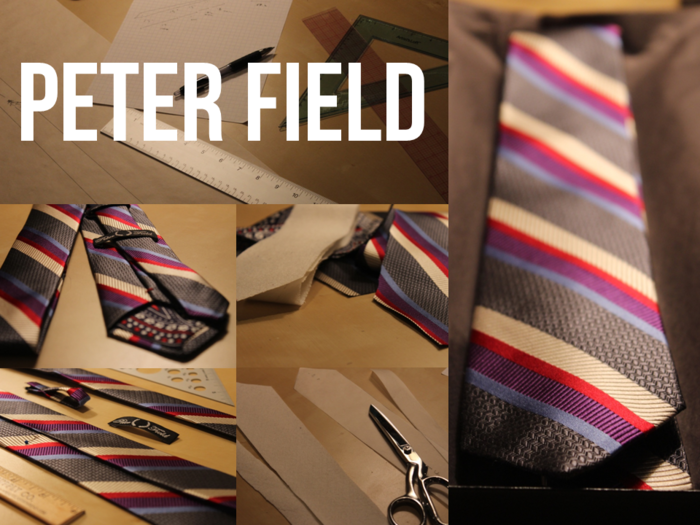 Peter Field is all about custom mens clothing. They're starting out with just ties, pocket squares and vests but later on they plan to offer the whole mens regalia. The materials are all really nice and the ties are made to your fit. Be sure to check out they're Kickstarter campaign as well here!